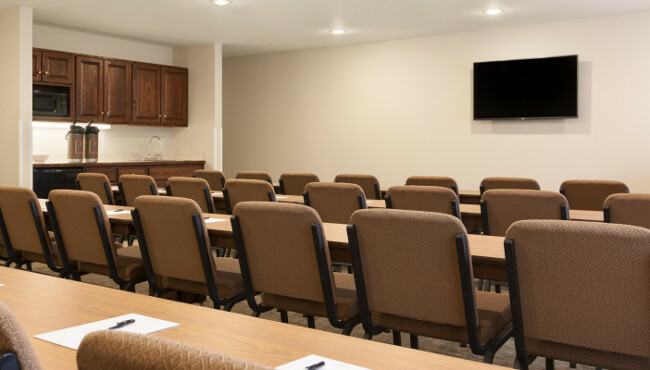 For private parties, business events and other social gatherings, choose the Country Inn & Suites, Lehighton (Jim Thorpe), PA. We offer a well-equipped meeting room for up to 45 guests, along with a great location near local airports, businesses, museums, parks and more. Use our free Wi-Fi, projector screen and TV to deliver dazzling presentations. You can feed your hungry guests with off-site catering, and our friendly, professional staff can provide planning assistance.